Be part of our unique opportunity to travel to Australia and visit the farmers and understand the inputs that go into producing our top quality products. Meet and learn about the hard working families who focus on quality and deliver exceptional products. Loyalty is earned through transparency and consistency. Join our Farm Club to gain farm gate access. 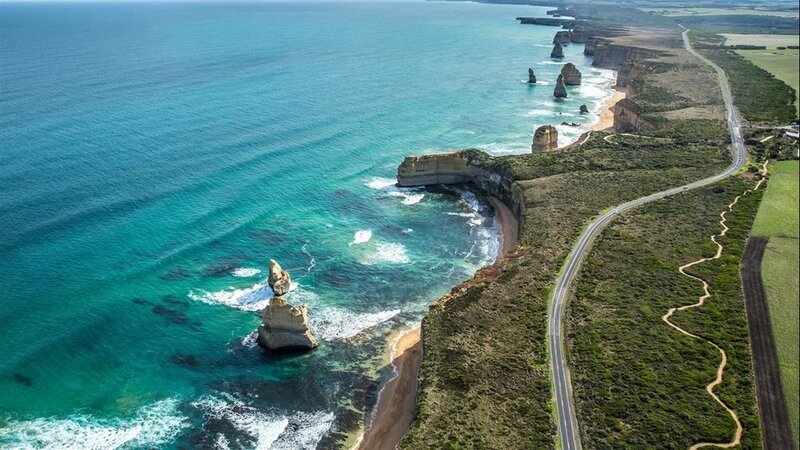 Drive the Great Ocean Road, one of Australia’s most famous and popular natural attractions. Dubbed one of the most beautiful coastal drives in the world, the day winds along the cliff edges and through local fishing towns. See the Twelve Apostles, before resting the the quite historical town of Port Fairy. Drive inland through rolling hills and agricultural plans of the famous Western District, modelled on old English values and boasting some of the wealthiest early pastoralist buildings in Australia. Visit select, exclusive access farms to learn about wool and sheep production and why Australia was 'built of the sheeps back'. Visit a selection of local farms that surround the Grampians National Park, 'Victoria's Garden'. From the oldest Charolais cattle stud, hidden olive groves and natural beehive sites, explore and meet local producers and the stories behind their high quality agricultural practices. The nearby Great Western wine region and vineyards boast a disproportionate number of James Halliday 5-Star rated wineries and some of the oldest vines in Australia. Explore underground cellars, sample bold characteristic wines and meet generational winemakers producing some of Australia's best drops. Final day, travel to find gold together and relive history in the Ballarat goldfields. This recreated town is one of the best attractions in the area. Feel what it was like as an early settler as you wonder through the streets of Sovereign Hill and pan for gold.